You always want the highest response rate possible when conducting a REDCap survey. But sometimes getting recipients to even open your email can be a challenge. Think about it: the average person receives 85 emails every day. That is an avalanche of work emails, promotions, newsletters, and stuff from random companies we do not remember giving our email to. Somehow your survey invitation needs to cut through the inbox clutter, grab your recipients’ attention, and convince them to complete the survey. Read on to learn four fundamentals that will help your survey rise above the clutter and increase response rates. Before study participants can complete your survey, they first need to open the email invitation. You have only a few precious seconds to catch their attention and stand out from the hundreds of other emails in their inbox. The best email subject lines are usually short, descriptive, and provide a reason to open your email. Keep subject lines short. Most readers will quickly scan the subject line before deciding to open the email. Aim for 50 characters or less. Be clear and concise. Subject lines that are too cute or clever are likely to be ignored. Instead, quickly summarize what is inside. For example, “Share Your Thoughts on Participate in Research – Win a Gift Card” summarizes what it is (a survey about Participate in Research) and what the recipient could receive for completing the survey (gift card). Note that you would need prior approval from your Institutional Review Board to reference the gift card. Avoid spam words. To keep your email out of the junk bin, avoid using words like “free” and writing in Caps Lock. Do not make it all about you. Avoid lines like, “Reminder to complete our survey” and “Help us improve our customer service.” Notice the use of our and us? These lines are all about the sender. Your subject line should speak directly to your readers’ interests. Give recipients a deadline. If your survey is time-sensitive, use words that give a sense of urgency. Inspire recipients to take action immediately. Do not forget the From field. Recipients need to know at first glance that the sender is a trusted and known source. When deciding on the From field, you have three choices: an individual’s name, organization name, or a combination of the two. Think about your audience and what they will best respond to. If you decide to use an individual’s name, use a name your recipients will recognize. Now that you have mastered your subject line, you need to craft a compelling invitation within your email. It should be similar to your subject line: clear, concise, and relevant to the reader. Start with a personalized greeting, if possible. Several studies have found that personalization boosts survey response rates. Learn how to add recipients’ names to invitations in REDCap. Let your contacts know why they have been asked to participate. If they previously agreed to or expressed interest in being part of research, gently remind them. Tell them how you will use the results (e.g., for a research study, to make a decision). Mention how participating in the survey will benefit the recipient. Create urgency with a deadline, if needed. Guide users to the next step (taking your survey) with a clear call-to-action. It should be more descriptive than “click here.” Instead, utilize action verbs (e.g., Take the Survey, Share your Feedback). With your subject line and invitation written, you are now ready to send the invitation. But when should it go out? The best times and days to send emails is a heavily researched—and heavily debated—topic. Most studies come up with the same conclusion: it depends. First, what day of the week should you send emails? Studies from email marketing services MailChimp, HubSpot, and GetResponse found that most activity happens in the middle of the week. The data suggested that Tuesdays were the best day to send email and had the highest open and click rates. Thursday came in a close second. While no study found Wednesday to be the most popular, it came in second place in some of the studies. MailChimp found high open rates on Thursday, with Tuesday coming in a close second. HubSpot found that Tuesday was the best day for email opens. Wednesday came in second. The same studies found varying results for the best time to send email. Several studies concluded that between 9 and 11 a.m. is the best time to send email. A couple studies found there may also be a peak in opens during the afternoon as people finish work, clean out their email inbox, or start looking for distractions. MailChimp found that sending emails between 9 and 11 a.m. will get you the most opens. 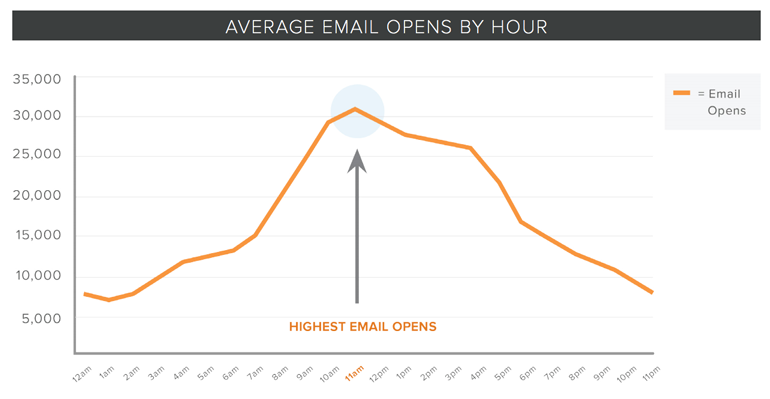 HubSpot found that 11 a.m. is the sweet spot for email opens. Let your recipients guide your send times. These guidelines are a good place to start, but they will not help you if you do not know your audience. Are you trying to reach busy investigators who only check email over lunch? Or parents who are busy during the day and read email late at night? Adjust your email timing to match your audiences’ schedule. For example, MailChimp looked at the optimal send time distributions for lawyers, bartenders, and neonatal nurses. Bartenders tend to get a later start in the day, thus the shift in open times. Lawyers, who have a fairly regular daytime schedule, tend to open their emails early in the morning and again in the afternoon. 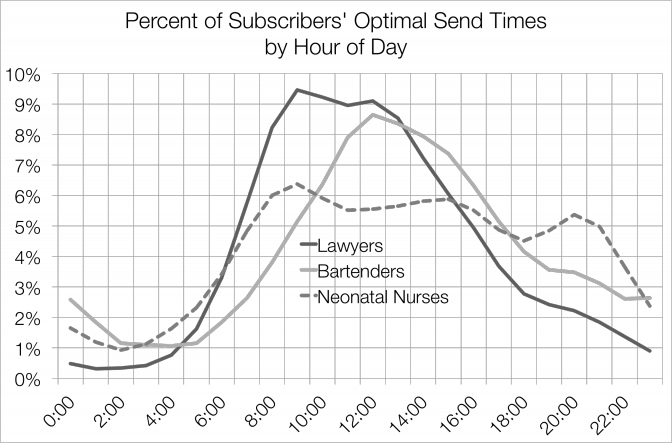 Neonatal nurses have less predictable schedules, which explains the fewer peaks. Once you have sent your initial invitation, communication with recipients should not end. Remember that your recipients have busy lives. If you have not received their survey within 10 days, send them a friendly reminder. REDCap offers the survey reminder feature, which is a great way to remind your respondents to complete a survey without having to manually re-send invitations. Learn how to create survey invitation reminders. We recommend sending no more than two or three reminders. Anything more begins to look like spam. You may also want to thank your respondents or send any pertinent information about the survey they just completed. REDCap can do that automatically. Learn how to create confirmation emails. Have you ever wished REDCap could automatically send a confirmation email whenever a respondent completes your survey? A recent upgrade to REDCap now allows you to do just that. The use of a confirmation email is a great way you to thank the respondent. It is also a useful way to send respondents a copy of any pertinent information related to the survey they just completed. When you are designing forms, REDCap will show you a preview of the forms you are building. 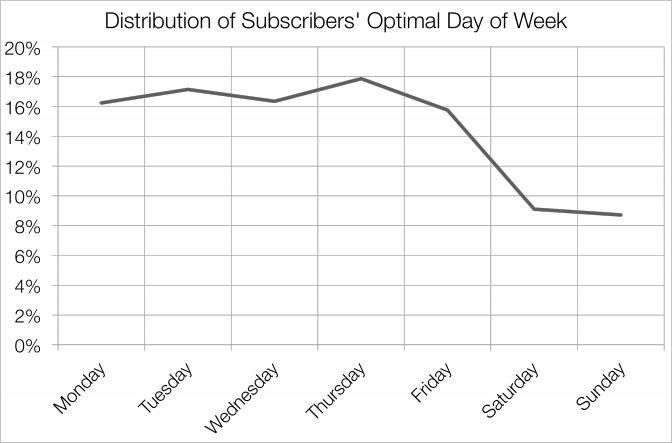 But it will not show if your branching logic or calculations actually work as designed. To test logic and calculations, you will need to create test records. This post covers how to create test records, as well as how to test your longitudinal projects and surveys. Click here to view the full instructions for creating test records with screenshots. Every month, the Institute of Translational Health Sciences (Washington) publishes a REDCap tip, shortcut, or best practice to help you get the most out of the installation. With 2015 coming to an end, we are taking a look back to see what tips readers found most valuable this year. Miss any of our other tips this year? Please visit our REDCap Tip of the Month archive to get caught up. Regular users of REDCap have often expressed an interest in having more options for ending a survey. They felt, for example, that it would be helpful to redirect survey participants to a project website at survey completion. However, survey termination options such as a redirect were not possible until REDCap added three new options to address this topic. With these options, survey developers can now better guide the user experience for survey participants. The options, which can be found in “survey settings” in the online designer, include the following. This is the default setting for any survey in REDCap and includes a standard “thank you” message. You can customize the text to any message that you want. This feature also supports HTML, which allows you to stylize the text and even insert pictures. See our previous REDCap Tip of the Month on inserting pictures to learn more. If you are using the survey queue feature to chain multiple surveys together, then your text will appear on the top of the survey queue overview. You can also now redirect the participant to a website after they complete the survey. This redirect can be to your own study website or any other site relevant to your project. You can also have REDCap loop back to the survey itself if the survey has a public survey link. This looping feature is beneficial for surveys that might need to be completed more than once, such as adverse event trackers. The auto-continue feature will allow you to automatically begin the next survey in your project. REDCap will go straight to the next survey in your form list, or, in case of a longitudinal studies, to the next form defined for the current event. If you want participants to complete multiple surveys in a row, then you must select this option for each survey in the chain. We recommend you use the survey queue if you want more control over how a participant is guided through your surveys. The project notes feature allows you to insert a short note next to the project title as an extra reminder of the purpose of that particular project (e.g., old survey from 2014, development survey 2015, final version survey 2015). One option for adding a project note occurs when you request a project, as noted in the following image. Or, you can modify the project notes for an existing project by clicking the “Modify project title, purpose, etc.” button in the project setup page. Once a note has been added, you can view it by hovering over the small “note” symbol in the project list in the main REDCap screen. Medications are often difficult to code in REDCap surveys due to variations in spelling, brand and substance names, dosing, and delivery routes. This variability poses challenges to research teams trying to accurately capture and code participants’ medications in a consistent way.To address these issues, REDCap has added two popular medication classifications in version 6.7.0 to enable more consistent coding. By activating these classifications, users are able to search the appropriate classification and select the most relevant option. The selected option is then automatically converted to the corresponding code. You can add a classification to a form or survey by creating a textbox. 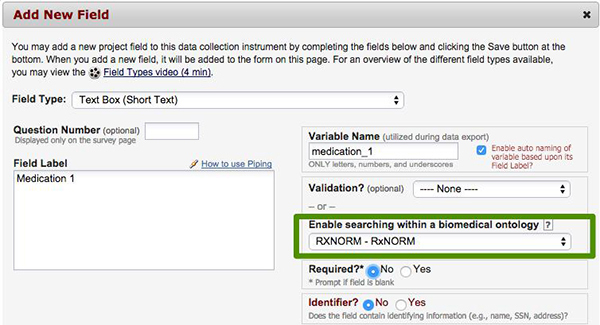 You then select the correct classification from the drop-down labeled, “Enable searching within a biomedical ontology,” as shown in the following image. 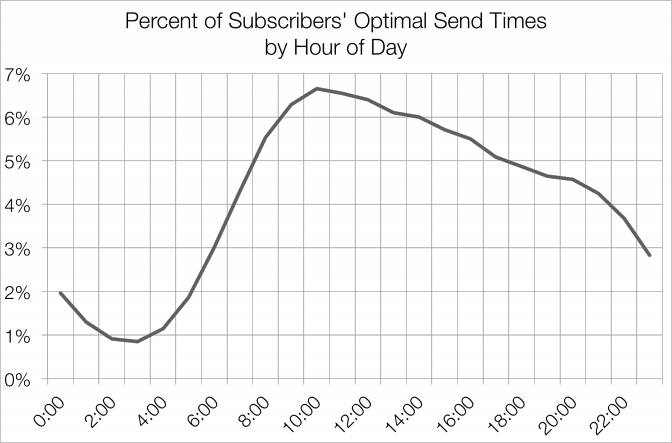 Once enabled, the medication classification will display during data entry in a fashion similar to the following image. Do you have a successful REDCap project that you would like to reuse or repurpose for another project? If you do, then you might want to consider using the REDCap “Copy Project” button, which lets you copy all the events, forms, variables, and settings into a new project. The “Copy Project” button can be found in the “Other Functionality” tab in the project you want to copy. Please visit the REDCap home page to learn more about available training, support, and answers to common questions. The REDCap tip of the month is provided by the University of Washington Institute of Translational Health Sciences. Additional information is available here.